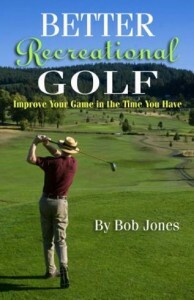 The longer I play golf, the more I become convinced that the key to playing well is not any technique you might have learned, but confidence. A few weeks ago, I hit into a green about thirty feet to the right of the pin. To go right at it meant playing over a bunker, so this was exactly where I wanted to be — easy approach putt and a tap-in. Except I left my approach putt twelve feet short. The greens had been sanded the week before and were a lot slower than I felt comfortable with. So! I was not going to three-putt. I read the green, looked at the putt, and said to myself, “This is going in,” as if there were no choice in the matter. And it went in. That’s confidence: not in knowing we’re good enough to sink the putt, but knowing as if doubt didn’t exist and the only possible outcome is for the ball to go in. Big difference. We can’t gin up that kind of motivation for every shot, though. Fortunately, we don’t need to. If we’ve felt it once, or twice, or more, that feeling in in us. All we have to do is pull it out. Get comfortable with the shot you are about to hit and that feeling of confidence will be there. If that sounds too easy, it’s because you are used to making golf hard. You have trained your mind to see the possible mistakes surrounding the one success that’s in there somewhere. Retrain your mind. See only the success, just like in those golden moments, and hit the ball. Now here’s the key. File away successes and throw away failures. Every time you visualize the fairway on the eighteenth tee and hit it, file that away. Every time you hit into the pond on the right instead, throw that shot away. Never happened. 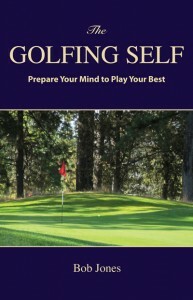 Acquire the mental strength to not let setbacks change your mood or your belief in the power of your mind to lead you to your best golf. This takes practice, lots of it. Remember how long it took to learn how to hit the ball reasonably straight, though, and you put in that time. 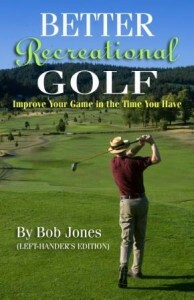 For a detailed program on how to accomplish this, see my latest book, The Golfing Self, at www.therecreationalgolfer.com.